If you’re anything like me, you find yourself pinning beautiful images on Pinterest, flipping through pretty home photos in magazines, and looking for home decor inspiration wherever you can. I absolutely love decorating our home and find inspiration from televisions shows (hello, Fixer Upper), magazines, books, Pinterest, Instagram … the list goes on an on. I love being crafty with home decor. I also love to upcycle items and repurpose them. Plus, an occasional stop at the local HomeGoods store never hurts. I tell ya, that store has something about it that just lures me in and helps me find so many fun and unique items to add to our home. So, today, I’m sharing some of my favorite home decor blogs to follow for all sorts of inspiration and tips. Go ahead, click on the links, and be inspired. Trust me on this one. This blog is one of my favorite sites to visit on a weekly basis. 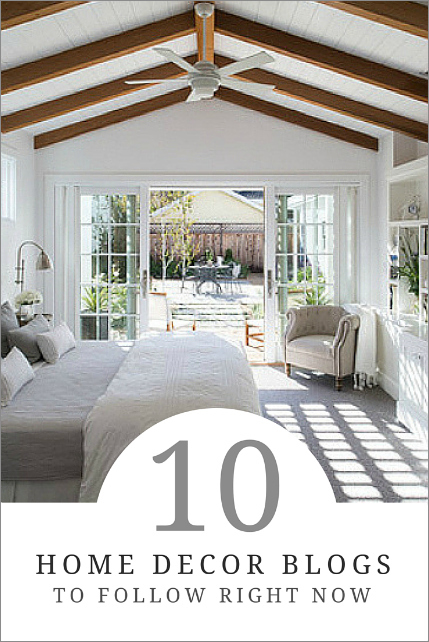 From simple design and decor tips to beautiful images, this blog has it all. Go ahead and click to that site. You won’t be disappointed. The site is managed by Clique Media Group. They always have their finger on the lifestyle pulse. If you’re all about simple, timeless, classic elegance, then this is the blog for you. Julie’s style stands the test of time. Her tips and ideas are easy to apply. Plus, Instagram account is just full of all sorts of beautiful ideas. Julie is a regular contributor for Domino Magazine and Style Me Pretty Living. She also contributes to Better Homes and Gardens and Traditional Home Magazine. Her work has been featured on/in The Huffington Post, Better Homes and Gardens, Country Living, Southern Living, Traditional Home, House Beautiful, Good Housekeeping, Apartment Therapy, BuzzFeed, Today, Oprah, Style Me Pretty Weddings, Style Me Pretty Living, Inside & Out Pottery Barn Blog, The Bump, TipJunkie, Babble, and more. She’s made appearances on Better KC & Kansas City Live, as well as written articles for KC Parent. Are you a fan of the television show Fixer Upper? Do the names Chip and Joanna ring a bell? If not and you absolutely love the farmhouse decor style, then you’ll want to visit this blog. The site is full of simple design ideas, gorgeous home photos, and cute stories. Joanna is super relatable and down to earth. You’ll love learning what she has to share on her site. Melissa is the creative mind behind this blog. She is the author of the NY Times Bestseller Love the Home You Have released in March 2015, The Inspired Room, released in November 2015, and Make Room for What You Love released in May 2016. Her new home decor coloring book is available for pre-order now at Amazon. She shares regular inspiration and helpful tips for decorating, homemaking and organization in every room, including a variety of posts on topics. Her blog is full of beauty and inspiration. If you love unique, colorful design, then this is the place for you. Author of the New York Times best-selling book The New Bohemians, L.A. based designer and blogger Justina Blakeney credits her multiethnic family, her degree from UCLA in World Arts and Cultures and extensive travel for her boho aesthetic. With a passion for color, pattern and plants, and over 1.5 million followers on social media, Justina and her blog, TheJungalow.com, have quickly become the go-to sources for bohemian design inspiration. For Justina, decorating is about feeling free, having fun and getting a little bit wild. 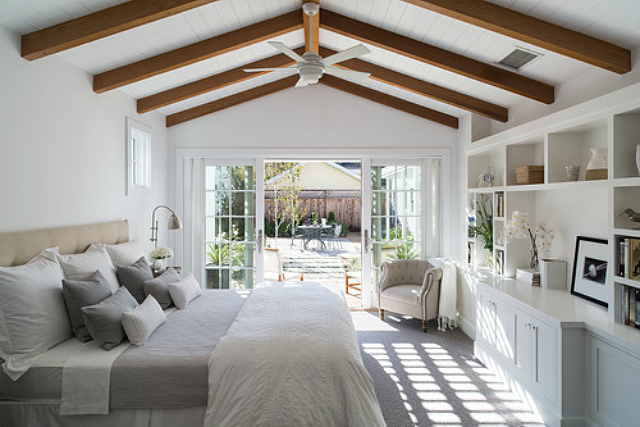 Houzz is the new way to design your home. On the site, you can browse 10 million interior design photos, home decor, decorating ideas, and home professionals online. When you go to the site, you can create a free account, set your design preferences, and peruse countless photos that will give you loads of ideas and inspiration. 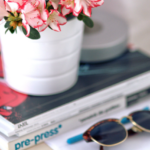 Coco began blogging in 2008 on COCOCOZY, her interior design blog. Coco’s goal was simple: provide design and style inspiration with a personal and sometimes humorous approach. Little did she know COCOCOZY the blog would become so popular. In addition to the thousands who come to her blog on a daily basis, pop star Katy Perry and interior design guru Jonathan Adler both named COCOCOZY as one of their favorite interior design blogs in InStyle magazine. Less than three years after the launch of the blog, Coco took her passion one step further as she introduced the COCOCOZY textiles collection to the home furnishings market. You’ll have to check out her products. So awesome. Cassandra Lavalle is the founder of coco+kelley where they curate and create fresh ideas for designing and styling your life. From interiors, parties, and tabletops to travel, food, and fashion—they approach it all with an urbane eye that captures the essence of effortless sophistication. Savvy Home has grown to become not just a blog, but an online decor destination providing inspiration and decor services to savvy millennial women. The Savvy Home aesthetic is influenced by a love for coastal destinations, mixed with a sleek modern edge. 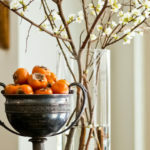 Paloma launched her widely read blog, La Dolce Vita in 2007 and her Houston interior design business followed as her readers’ interest in her style grew. Paloma has been featured in multiple publications and websites including the New York Times, New York Magazine, The Washington Post, ELLE DECOR, House Beautiful, The Wall Street Journal, Better Homes & Gardens, 002 Houston, Apartment Therapy, Rue Magazine, Adore Magazine, Style Me Pretty, and Casa Sugar. Paloma has honed her distinct eye for style through her work as a blogger, editor, and decorator resulting in an aesthetic that is polished and refined, yet maintains an effortless ease. What’s your favorite home decor blog? I just loved it! Thank you for sharing! Such a nice blog about the luxury and styles home decor. This is a very informative and well-written post. I appreciate how you broke it down and explained each tip. It was easy to follow and understand. I also love how uncluttered your blog site is. Thank you! To make the house beautiful every single little things plays more vital role. Beautiful images with article. Thank you for posting these. We have followed The Inspired Room for some time and it is a great blog. These are some other great options. If you are looking to do a home remodel then you really need to follow some of these for a couple weeks or even months to get some great ideas! Really a beautiful blog. The presentation is also impressive. Not only home you need to improve the outside of the home also.